GHOST STORIES receives it’s Scottish Premiere at FrightFest Glasgow 2018. Excited? We are beyond excited! It is honestly a dream come true. Can we go back to the beginning…how did the idea of GHOST STORIES first materialise and take us through its initial stages of creative development. Our friendship was born out of a shared love of horror films. We met aged 15 and used to call each other every time a new issue of ‘Starburst’ came out, or one of us would manage to get a copy of Fangoria. We used to read Alan Jones’s columns to each other! About ten years ago we started talking about working together and how much we wanted to make that a reality. We had the idea of creating an Amicus style film, but on stage. The idea very quickly became ‘Ghost Stories’. The play opened at the Liverpool Playhouse and then went to the Lyric Hammersmith and the rest is history. It exploded! It’s now had 26 months in the West End as well as many international productions. It’s remarkable. When you wrote the stage play did you ever envisage it in cinematic form? The joy of the play was that it was almost taking tropes from horror films and putting them on stage. Putting that back onto film is a massive challenge, how to do it without it simply feeling like you’d seen it all before. So at the beginning, the idea of a film felt like a distant dream. Here’s one for you Andy. How much influence did your background in magic inform the play’s creative process? That’s an interesting question. My many years of work in the world of conjuring certainly helped with the ‘magical thinking’ within the play. The layering of clues and secrets definitely comes from mine and Jeremy’s shared love of magic. Jeremy, you also share Andy’s love of horror, but how did your comedy background influence the play’s story-telling journey? It happened in an unspoken way, perhaps through an emphasis on character. Each of the stories protagonists has comic elements that just emerged naturally in the writing. Don’t forget that Andy is a very funny man and a very gifted comic actor. Much of our time together is spent crying with laughter – so it was probably inevitable that comedy would be part of the mix. Also, we both share a deep love of American Werewolf in London – it was one of the films we first bonded over – and that is a perfect dance between comedy and horror. What challenges did you both face writing the screenplay? Did it help knowing you were also going to direct? It really was a case of unpicking everything and starting all over again. Whilst the key story is basically the same, we knew there were big sequences that were not achievable on screen as they were of a purely theatrical nature, namely Goodman’s story. What feels satisfying to us is that the film has many new shocks and surprises, so if you are a fan of the play, there are big new twists and moments waiting for you. Andy, you also play the lead role in the film, so how did you both share the director’s chair? It was always very natural. 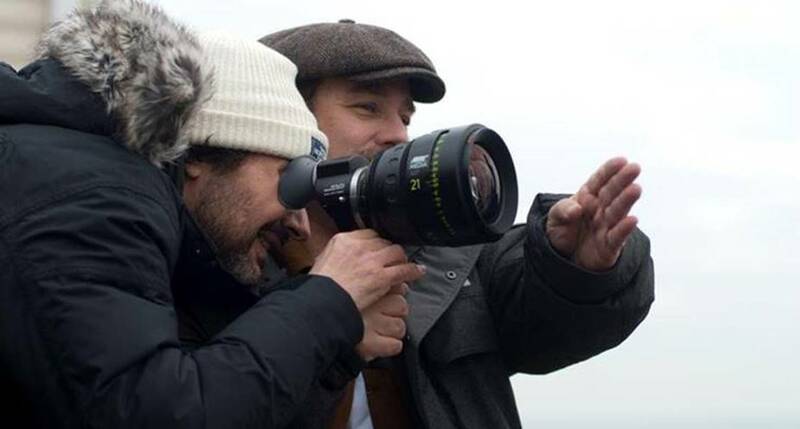 We continually talked about the shots and if it was scenes i was in, i had a stand-in so we could set everything and then i would go in for the actual shoot. In terms of my performance, Jeremy would always give me great notes and I totally trust him. Can we expect another horror anthology from you? Have to ask…do you believe in ghosts? Finally, what’s next for you both? Afraid you’ll have to wait and see! GHOST STORIES is showing at the Glasgow Film Theatre on Thurs 1 March, 9.00pm as part of Horror Channel FrightFest Glasgow 2017. 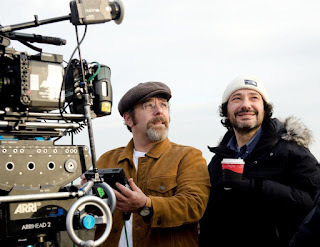 Andy Nyman & Jeremy Dyson will be attending. Tickets will be on sale from Monday 29 January, 10am. Throughout February, Saturday nights at 10.55pm will be devoted to SEASON OF THE WOLF as Horror Channel presents a fang and fur-filled selection of classic and contemporary werewolf movies, including the UK TV premieres of Adrian Garcia Bogliano’s freshly-biting LATE PHASES and Paul Hyett’s HOWL, a hairy horror and bloody action adventure, starring Ed Speelers, Shauna Macdonald and Sean Pertwee. Plus, there are network premieres for Lowell Dean’s rage-fuelled WOLFCOP and Joe Dante’s genre transforming cult-hit THE HOWLING In a premiere-packed month there are also UK TV premieres for Derek Lee & Cliff Prowese’s award-winning fear-inducing AFFLICTED and Brett Simmons’s supernatural shocker THE MONKEY’S PAW. A female reporter is attacked by a notorious serial killer and to get over her trauma she is sent to ‘The Colony’, a remote mountain resort. But there her problems really begin, as the residents are werewolves. Considered one of the superior werewolf movies ever made, it stars Dee Wallace, Christopher Stone, Patrick Macnee and John Carradine. Crescent Bay is not the best place to live out one’s golden years. Once an idyllic retirement community, the gated hamlet has been beset by mysterious deadly attacks. So when blind war veteran Ambrose McKinley (Nick Damici) moves in, the residents are put off by his abrasive personality, But it’s his grizzled take-no-prisoners attitude that’s needed to survive the sinister secret the tight-knit neighbourhood is harbouring. Lou Garou is a lazy, alcoholic cop by day, a violent crime-fighting werewolf by night with a new found sense of duty to uphold. Overnight, the small rural town of Newhaven has a new lycanthropic hero and he’s determined to become a better policeman…one full moon transformation at a time. Ex-soldier Frank Brayker (William Sadler) is the guardian of an ancient key that can unlock unimaginable evil. But a demon, in the guise of a ‘The Collector’ (Billy Zane), also wants the key so he can initiate the apocalypse. Brayker stops at a boarding house in New Mexico where, with the help of its quirky residents, he plans to face off against The Collector and his savage band of ghouls. Two best friends see their world trip of a lifetime take a dark turn when one is struck by a mysterious illness that changes his metabolism, making him superhuman. A clever spin on a classic scary story, dual-threat Cliff Prowse and Derek Lee make an impressive horror feature debut. A Northern Californian fishing town, built 100 years ago over an old leper colony, is the target for revenge by a killer fog containing zombie-like ghosts seeking revenge for their deaths. John Carpenter’s first horror thriller following Halloween, sees him reunited with Jamie Lee Curtis. Janet Leigh and the great Carpenter himself also star. After Jake Tilton (C. J. Thomason) is given a mystical “monkey’s paw” talisman that grants him three wishes, he finds the world turned upside down when his first two wishes result in his co-worker Tony Cobb (Stephen Lang), being resurrected from the dead. When Cobb pressures Jake into using his final wish to reunite Cobb with his son, his intimidation quickly escalates into relentless murder – forcing Jake to outwit his psychotic friend and save his remaining loved ones. Superstar Demi Moore leads a talented cast in this suspenseful yarn about a scientist who discovers a deadly parasite which can be used for the good of mankind. But some unscrupulous people have other uses in mind. Thrilling and full of action, this earlier performance by Moore is a treat for more than just her legion of fans. Chucky arrives to wreak havoc within a dysfunctional family that’s regrouped for a funeral. In the wake of her mother’s passing, Nica – in a wheelchair since birth – is forced to put up with her relatives as they say their tearful goodbyes. When the people she loathes start turning up dead, Nica is horrified to discover the culprit might be the weird doll she was sent a few days earlier. Picking up events from the preceding SEED OF CHUCKY with helmer Don Mancini back in the director’s chair, this sixth instalment of the series delivers even more blood-splattered thrills and chills. In his first film since The Exorcist, Oscar-winning director William Friedkin spins a terrifying tale based on every parent’s worst fears. Jenny Seagrove plays Camilla, the enchanting guardian, who enters the home of new parents Phil (Dwier Brown) and Kate (Carey Lowell) possessing impeccable references and an affinity for children. But as her true intentions are revealed, the battle for the child’s soul begins in this chilling film based on Dan Greenburg’s popular novel, The Nanny. The Devil Has A New Playground. 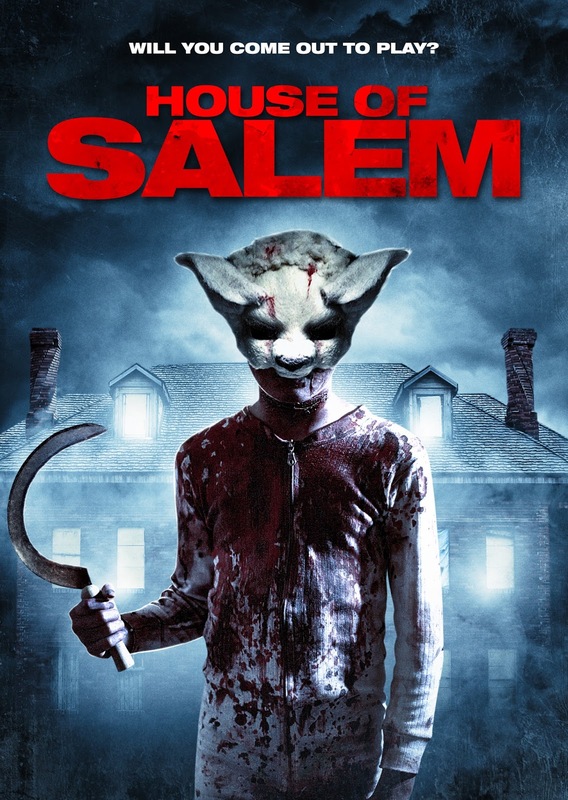 Don’t Breathe meets You’re Next in writer-director James Crow’s ‘’brooding and compelling horror with a crime thriller twist”* HOUSE OF SALEM, streaming on VOD 1/23/18 from Wild Eye Releasing. Jessica Arterton, Jack Brett Anderson and Liam Kelly star in “an excellent watch”** HOUSE OF SALEM, premiering on VOD this January from Wild Eye Releasing. The film looks great, what do you film it on? Thank you. We shot it on black magics in 4k in raw. A great name for a camera to film a horror film with. Was it important to you that the film have as much substance as it did style? I’m very inspired by visual directors like Alfred Hitchcock and Dario Argento, so style is a very big thing for me. It’s why I’m normally still quite hands on with the camera while also being Director, despite it driving producers mad. But I tried to give this film depth with characters too. I think it’s still a character piece alongside a horror. One can only imagine that some of today’s newspaper headlines might have played muse to the script? I don’t know whether the newspapers tend to have much influence on me. Art and music sometimes do, although maybe not so much with this film. Although I do like watching a lot of creepy youtube videos about unsolved mysteries, they may have had an effect. Genre movies sometimes can end up being a bit silly, was it important to you that yours have some black humour about it? I always like black humour, although no one has called House of Salem silly to me which is good. I think its a dark story and I think the characters are very conflicting and troubled. The film has a really great score. How important is sound to you? Who composed it? Pete Coleman who I worked with on Curse of the Witching Tree created again another amazing original score. 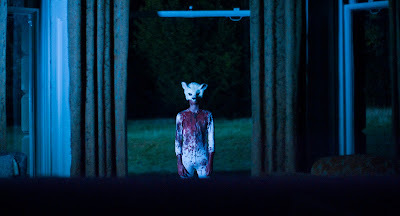 He’s also scored my film Black Creek coming out next month too. How much of the film comes together in the editing room? I imagine that’s when a lot of the scares start to work? Yeah they and with the music too. This film was so long, so many scenes got cut. Thats the hardest thing. House of Salem uncut could have easily been over two hours. VOD seems to be the main spot we’ll find the film. Do you prefer audiences see it this way at their own time, in their own space? I do like VOD and I think it’s an important way forward but I love having my blu-rays with special features of my favourite films. Wildeye will be releasing a hard copy of House of Salem I think around March. Do you believe VOD is the way of the future? Yes I do. I think also streaming services, which is included in that. I do think there will always be a place for hard copies though, just like vinyl is making a return to music lovers. I think those who love and support their film makers like I do, will like having that collection with all the special features. Do you recommend we eat or drink anything in particular while watching the film at home? What do you recommend? Red wine like the client who runs of House of Salem most probably. 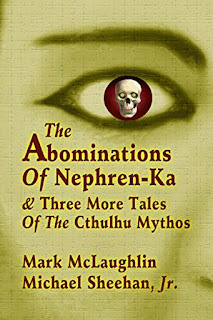 Mark McLaughlin's fiction, nonfiction, and poetry have appeared in more than 1,000 magazines, newspapers, websites, and anthologies, including DARK FUSIONS: Where Monsters Lurk!, GALAXY, LIVING DEAD 2, WRITER'S DIGEST, CEMETERY DANCE, MIDNIGHT PREMIERE, DARK ARTS, and two volumes of YEAR'S BEST HORROR STORIES (DAW Books). His latest trade paperback releases are the story collections, HIDEOUS FACES, BEAUTIFUL SKULLS and BEST LITTLE WITCH-HOUSE IN ARKHAM. 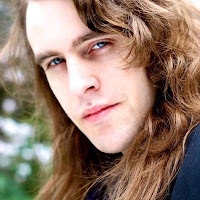 He has also written a two-author paperback collection with Michael McCarty, DRACULA TRANSFORMED & Other Bloodthirsty Tales. 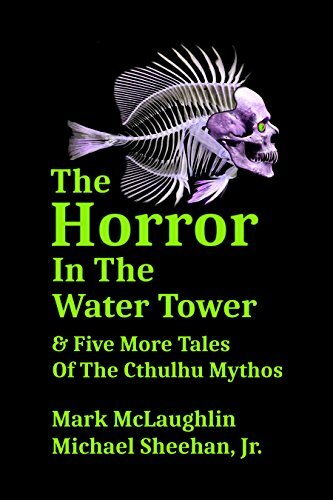 Other books by Mark include the story collection BEACH BLANKET ZOMBIE and the collaborative horror novel, MONSTER BEHIND THE WHEEL (with Michael McCarty). Mark is the coauthor, with Rain Graves and David Niall Wilson, of THE GOSSAMER EYE, a poetry collection which won the 2002 Bram Stoker Award for Superior Achievement in Poetry. When I was little, my mom would drop me off at a library while she went shopping. I didn’t have time for reading novels, so I would read short stories. I eventually found myself gravitating toward horror stories. Fortunately, the library in question had a lot of old Arkham House books and August Derleth anthologies. As I read those stories, it dawned on me, “I could do this. I could write stories about monsters.” The vast majority of my stories have monsters in them. I started writing horror stories in my teen years, and my first ones were published while I was still a teenager. How did you become interested in H.P. Lovecraft? That library I mentioned stocked some Lovecraft collections, and I fell in love with his works after I read his stories, “The Dunwich Horror” and “The Outsider.” I read everything Lovecraftian I could get my hands on, and eventually I started buying books through the mail directly from Arkham House. 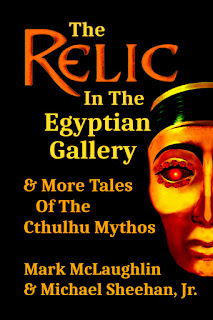 Since those days, I have written many Lovecraftian works, including BEST LITTLE WITCH-HOUSE IN ARKHAM; THE CREATURE IN THE WAXWORKS (co-written with Michael Sheehan, Jr.); THE RELIC IN THE EGYPTIAN GALLERY (co-written with Michael Sheehan, Jr.); SHOGGOTH APOCALYPSE (co-written with Michael Sheehan, Jr.); THE BLASPHEMY IN THE CANOPIC JAR (co-written with Michael Sheehan, Jr.); THE HORROR IN THE WATER TOWER (co-written with Michael Sheehan, Jr.); and THE ABOMINATIONS OF NEPHREN-KA (co-written with Michael Sheehan, Jr.). Not everything I write is Lovecraftian, but I do enjoy romping in that particular field of terrors and tentacles. Eventually I discovered horror, fantasy and science-fiction magazines and started writing stories for them. Over the years I’ve written hundreds of stories, articles and poems for those publications, and developed some wonderful friendships with many great editors. The late Karl Edward Wagner reprinted a couple of my stories in his iconic YEAR’S BEST HORROR anthology series, and I always enjoyed talking with him. Do you think horror and comedy can really go together? Certainly. It’s good to be able to laugh at life’s nasty shadows. Show those shadows who’s boss! People weren’t meant to cower in fear. If you can laugh at a fear … well, it’s no longer a fear then, is it? In the past, I’ve written a lot of comedic horror stories, but in recent years, I’ve been moving away from the humorous aspect – especially in my Lovecraftian stories. In those stories, I’ve been concentrating more on the otherworldly science aspect. Is horror a full-time job? It’s more than that: it’s a full-time life. My mind is always percolating, thinking about the next story I’m going to write, and the next, and the next…. The craft of writing is certainly a full-time job for me, since I also write in my ‘day’ career in marketing and advertising. I don’t write in just any one genre. 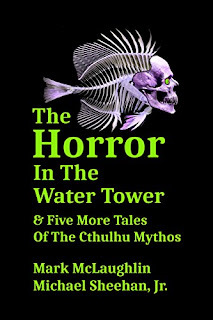 I write horror, Lovecraftian stories, humorous stories, science-fiction, fantasy … and over the years, I’ve also written tons of nonfiction, including articles about green building, women’s health, community businesses, interviews, horror movies, you name it! People need fantasies to distract them from the world and its troubles – often, the more elaborate the fantasies, the better. The escapism of reading is a delightful little mini-vacation for the mind. Why do you think people are so fascinated by the Devil? It’s because they secretly envy him! He pretty much does whatever he wants. A lot of people would like to live like that. But ultimately, a life of sin and indulgence can only lead to sickness and loneliness, with nothing to show for it when the day is done. Demonic possession. Are you a believer or a skeptic? I think the vast majority of individuals involved in such cases are probably misunderstood, albeit creative individuals. But, I wouldn’t completely rule out the possibility that malevolent entities might exist. Maybe they are the souls of the restless dead, or life-forms of an alien or transdimensional nature. Who can say? It’s a big universe. Who knows what may be lurking out there in endless void? Everything! I’m especially inspired by nature and science. The world’s oceans and jungles are full of monstrous creatures. The microscopic world is teeming with ghastly little terrors. I’m also interested in the mythologies of various lands, including ancient Greece and Egypt. In today’s world, myths and gods have been replaced by movies and celebrities, and I find inspiration in that. 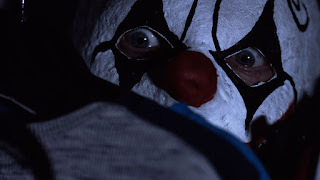 What do you think is the difference between American horror and British horror? In general, I think British horror is more subtle and psychological. American horror is pretty much anything-goes. But, there are a lot of exceptions to those guidelines on both sides of the pond! Don’t get me started – there are too many to count and they’re all very different! My favorites would include Suspiria, Dracula, Frankenstein, Dracula’s Daughter, Black Sunday, old Three Stooges movies, James Bond movies, The House by the Cemetery, Inferno, and The Rocky Horror Picture Show (both old and new versions). I especially like crazy, cheap B-movies like The Manster, Bloody Pit of Horror and Fangs of the Living Dead. My main goal is to keep creating, and the fact that I create on a regular basis is one of my two greatest accomplishments. I don’t worry about awards, being honored or anything like that. I’ve already won a Bram Stoker Award, and while I’m honored to have received one, the fact that I have one doesn’t make me any taller, thinner or younger. I’m still just plain old me. My other great accomplishment is successfully working with my two regular collaborators, Michael McCarty and Michael Sheehan, Jr. They are both great people, and working with them has led to the creation of some great books (in my humble opinion, of course!). 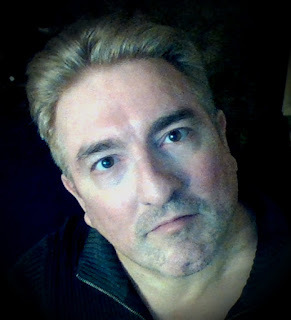 With Michael McCarty, I have written the novel MONSTER BEHIND THE WHEEL, along with other poetry and story collections. 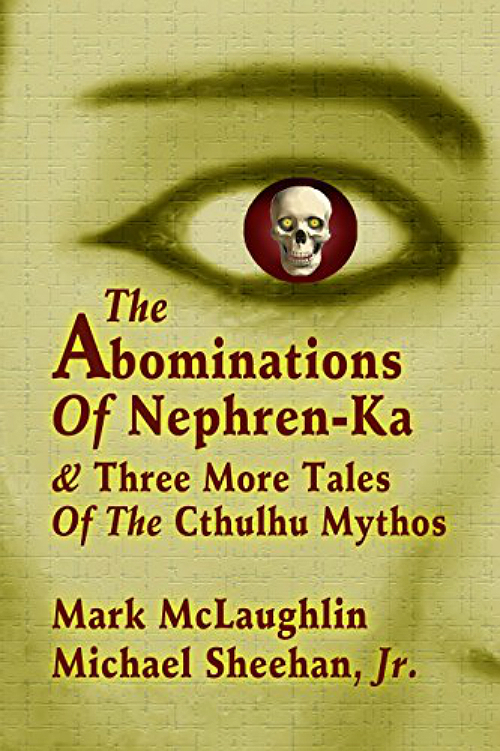 With Michael Sheehan, Jr., I have written THE ABOMINATIONS OF NEPHREN-KA and other Lovecraftian collections. Just keep writing! Don’t worry if you think any other writer is doing better than you. Just be the best YOU that you can be. I’ve learned over the years that you just need to keep your eyes on the road … the road to your own future! Actually, I’ve been doing some self-publishing myself, and my self-published works sell much better than any of my works from traditional publishers. So there are indeed merits to self-publishing, if you recognize that you need to work a lot harder to get results. But while you have to work much harder, you can get better results because you have more control. Having said all that, I still believe in traditional publishing and haven’t ruled out working with more publishers in the future. 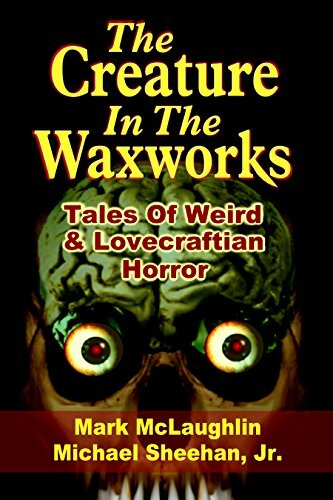 My most recent Kindle releases are THE CREATURE IN THE WAXWORKS, a new collection of Lovecraftian tales, and MAGIC CANNOT DIE, a collection of stories about sorcery and enchantment. I also have other projects in the work, but none of them are close enough to being finished to announce. In your own words, write a paragraph about yourself and your work. I’ve been writing for more than thirty years and hope to be writing for at least a thousand more. I suppose my body will wear out some day, but hopefully some kind of super-science will come along that will allow my head to be grafted onto some of eternally typing cyborg body. That would be just fine with me! 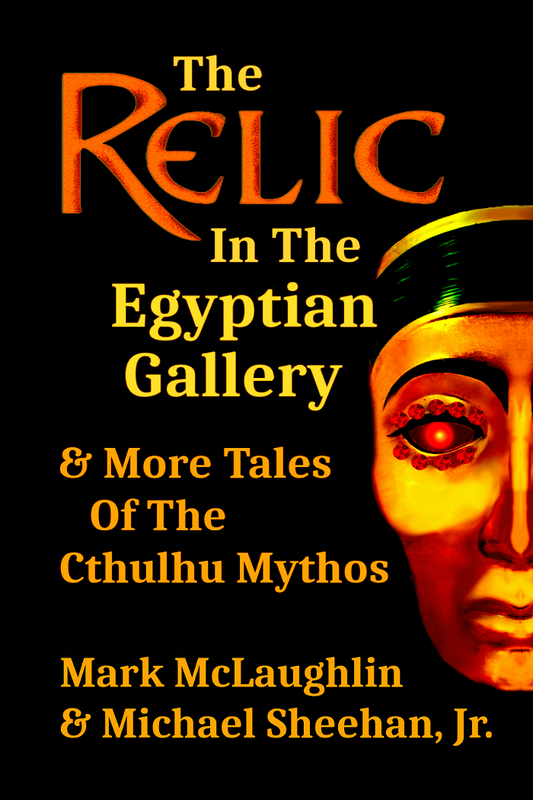 Mark's latest digital releases are the Kindle fiction collections, MAGIC CANNOT DIE; THE CREATURE IN THE WAXWORKS (co-written with Michael Sheehan, Jr.); THE RELIC IN THE EGYPTIAN GALLERY (co-written with Michael Sheehan, Jr.); SHOGGOTH APOCALYPSE (co-written with Michael Sheehan, Jr.); THE BLASPHEMY IN THE CANOPIC JAR (co-written with Michael Sheehan, Jr.); THE HORROR IN THE WATER TOWER (co-written with Michael Sheehan, Jr.); THE ABOMINATIONS OF NEPHREN-KA (co-written with Michael Sheehan, Jr.); FOREIGN TONGUE; and DRUNK ON THE WINE THAT POURS FROM MY WICKED EYES. All of these are available on Amazon. Be prepared to feast on a chilling cornucopia of savage shocks, unsettling surprises and devilish delights as the UK’s favourite horror fantasy event returns to the Glasgow Film Festival for its 13th year, from Thurs 1 March to Sat 3 March 2018. This year’s bold line-up, once again housed at the iconic Glasgow Film Theatre, embraces the latest horror, fantasy and sci-fi discoveries from ten countries, spanning four continents, reflecting the world-wide popularity of the genre. GHOST STORIES remains one of the scariest stage shows ever seen and on Thursday night FrightFest kicks off with a special screening of Andy Nyman and Jeremy Dyson’s smash hit phenomenon. Starring Martin Freedman, Paul Whitehouse, as well as Nyman, this unforgettable screen adaptation terrifies in a whole new thrilling and chilling dimension. Jeremy and Andy will be attending. This is followed by the Scottish premiere of Brian O’Malley’s supernatural romance THE LODGERS, a masterful Irish set Gothic ghost story, starring Charlotte Vega and David Bradley. Friday’s line-up lunges into vampiric action with the UK premiere of Dragos Buliga’s THE WANDERERS: QUEST OF THE DEMON HUNTER, an inspired modern twist on Transylvanian mythology. This is followed by the world premiere of writer/director Kelly Greene’s pastiche gem ATTACK OF THE BAT MONSTERS. If you liked The Love Witch, this is your new retro-perfect jam and Kelly will be in attendance. Next up is the UK premiere of THE RAVENOUS, writer/director Robin Aubert’s surreal and wickedly humorous addition to the Living Dead canon. The 8.45pm presentation is the UK premiere of the powerfully gripping COLD SKIN. At the vanguard of French extreme cinema, director Xavier Gens made his name with Frontiere(s) and The Divide. Now he brings us a stunning adaptation of Albert Sánchez Piñol’s acclaimed novel that’s part H.P. 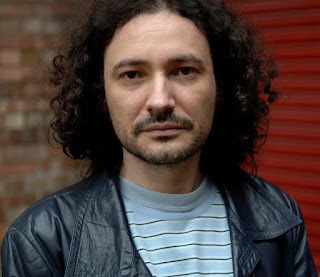 Lovecraft, part Joseph Conrad and Xavier will be at the festival to discuss his film. Rounding off the evening is the European premiere of PRIMAL RAGE, a creature feature that blows the lid off traditional Bigfoot mythology. Special effects guru/director Patrick Magee has created an intelligent, cunning primitive warrior being guaranteed to terrify. Getting the Saturday programme off to a demonically hellish start is the UK premiere of Paul Urkijo’s visually breath-taking fantasy THE BLACKSMITH AND THE DEVIL a vivid Basque fairy-tale, produced by Spanish legend Alex de la Iglesia, This is followed by the European premiere of supernatural chiller PYEWACKET, a beautifully paced, dread-filled study of occult belief by writer/director Adam MacDonald. Next up is the UK premiere of FRIENDLY BEAST, Gabriela Amaral Almeida’s intense shocker, which explores the latent evil within us all. Climb on board for a fiendishly tense slay-ride as the evening programme kicks off with the UK premiere of director Adam Marcus’ savvy seasonal shocker SECRET SANTA. Marcus will be joined onstage by some of the cast and producers. Following this is the much anticipated UK premiere of TIGERS ARE NOT AFRAID, an unflinching South of the Border cautionary fable, an audacious mix of Pan’s Labyrinth and Narcos, which firmly announces director Issa López as a rising star of Mexico’s New Wave cinema. This year’s global celebration of the genre ends on an adrenalin-fuelled high with the European premiere of Neil Mackay’s ultra-violent, action-packed thriller SIXTY MINUTES TO MIDNIGHT. Actor Arnold Sydney Junior and producer Frank Leraci will be in Glasgow to introduce the movie. Alan Jones, FrightFest co-director, said today: “With our bold choices and the quality of programming, FrightFest is once again positioned to deliver at our beloved second home in Glasgow. It’s no surprise to us that the genre has just had its biggest and most successful year. If you’ve ever attended one of our events, you’ll know exactly why. For FrightFest will always create a communal space where the pure enjoyment of the occasion is paramount and a vital shared experience. Welcome to our Pleasure Dome, FrightFest Glasgow-style”. FrightFest Passes are £75 and available from noon on Mon Jan 15, 2018. Passes cover all films on Fri 2 March and Sat 3 March ONLY. Tickets for GHOST STORIES and THE LODGERS, plus individual tickets for the Fri/Sat films are on sale Mon Jan 29 from 10am. Price: £10.50. £8.50 concessions. Professor Philip Goodman (Andy Nyman) is a renowned sceptic of the supernatural and clairvoyant. Given the opportunity to investigate three case histories of baffling paranormal activity, he uncovers mysteries beyond his own imagination leading to a shocking personal nightmare conclusion. Set in a rapidly changing 1920s society under the weakening grasp of British colonialism, orphaned twins Rachel (Charlotte Vega) and Edward (Bill Milner) share a strange existence in their crumbling family estate. For each night the property becomes the domain of a sinister presence enforcing three rules upon them; bed by midnight, no outsiders past the threshold, and any solo escape attempt puts the other twin in jeopardy. Now the curse is about to be tested by a troubled war veteran who is mysteriously drawn to Rachel. Louis (Armand Assante) is the most famous ghost and demon hunter in the world. The hardened American has travelled with Robert, an Israeli journalist (Lior Ashkenazi) to investigate a mysterious event that happened at the infamous Zalesky Castle, an imposing edifice towering over a village drenched in bloody history. Joined by a Romanian guide and a Korean television reality show team, the duo attempt to untangle the evil secrets lurking at the dark heart of this frightened community. Join schlock impresario Francis Gordon as his intrepid crew attempt to shoot an impromptu monster movie in the three days left over from the film they’ve just wrapped. From the Saul Bass opening title homage to its highly authentic, comic evocation of 1950s’ grade-Z grindhouse, this was lost when it was made in 1999. But ace restorer Mark Rance (who brought Tobe Hooper’s Eggshells to FrightFest 2010) found it and has lovingly refurbished it under writer/director Kelly Greene’s supervision. At the dawn of the First World War a young man named Friend (David Oakes) arrives at a desolate Antarctic Circle island to take the post of weather observer and where a race of amphibious humanoids emerge from the seas every night to besiege him and his rancorous lighthouse keeper companion, Gruner (Ray Stevenson). How much horror can the human heart endure? Lost deep in the forest of the Pacific Northwest, Ashley (Casey Cagliardi) and her ex-convict husband Max (Andrew Joseph Montgomery) are stalked by a terrifying creature the locals call Oh-Mah. Soon they find themselves forced to face nature’s harshness, a band of unsavoury hunters and become embroiled in a strange land of Native American legend turned absolutely real in their life or death battle. Ten years after Civil War in Spain 1833, orphan Usue (Uma Bracaglia) seeks escape from her abusive guardians and constant harassment from uncaring villagers. When her beloved doll is stolen, it ends up at the property of Patxi (Kandido Uranga) a lonely and feared blacksmith who is the keeper of a terrifying secret, a horrible truth that Usue innocently reveals. Confused and enraged for being forced to move away from school friends after her father dies, Leah (Nicole Muñoz) performs a blood incantation calling on an evil entity to punish her grieving mother. Immediately regretful, too late she realises she can’t reverse the ritual curse and an unholy presence now stalks them both in their rural home. It's nearly closing time at a struggling restaurant. Staff want to go home while the boss struggles with money troubles and a desire for more power in his life. Enter two robbers, the catalyst for a violent situation, which the boss is initially able to contain and gain the upper hand. Suddenly, the already dangerous and explosive situation turn deadly; sides are taken and people turn to the most abhorrent behaviour in an instant. The Pope family’s Christmas Eve dinner goes horribly and hilariously wrong when someone puts something in the party punch causing everyone to tell the unvarnished truth at the already dysfunctional holiday reunion. When the head of the household psychopathically freaks-out, the scene is set for murderous mayhem and splatterific revenge as the deviant relatives reveal their long-buried hatreds and festering loathings. Thousands have been murdered or gone missing in the ongoing violent drug war in Mexico. The result is many orphaned children living on the streets caught in the unceasing cartel crossfire. In her third work of immense beauty, pain, fear and joy, writer/director Issa López tells the magical story of five such urchins making the best of their daily struggle to survive. It’s New Year's Eve 1999 and former soldier Jack Darcy (Robert Nolan) wakes to find himself mysteriously entered into a murderous new TV game show. He has sixty minutes to kill or be killed by a group of strange armed men who’ve surrounded his house. But what his would-be assassins haven’t realised is that Jack has learnt a few tricks from his military days. He has a hidden bunker full of weapons and he isn’t going down without a vicious fight! Director Neil Mackay Cast Robert Nolan, Arnold Sidney, Terry McDonald Canada 2017, 1hr23m, N/C 18+.